Since I started taking Zumba classes almost a year ago, I’ve lost over 25lbs and gained confidence, better health and a bunch of gym pals in the process. What started with me watching from the treadmill/elliptical has become my anti-drug… I now go to Zumba classes at least 4x a week, sometimes taking 2 or 3 classes a day. Yep, I’m addicted! Aug. 25th is my birthday; on Sunday, Sept. 2, I will become a licensed Zumba instructor, as part of my quest to share my newfound love of fitness with anyone who cares to listen; and Sept. 6 marks exactly one year since I made the decision to get fit. 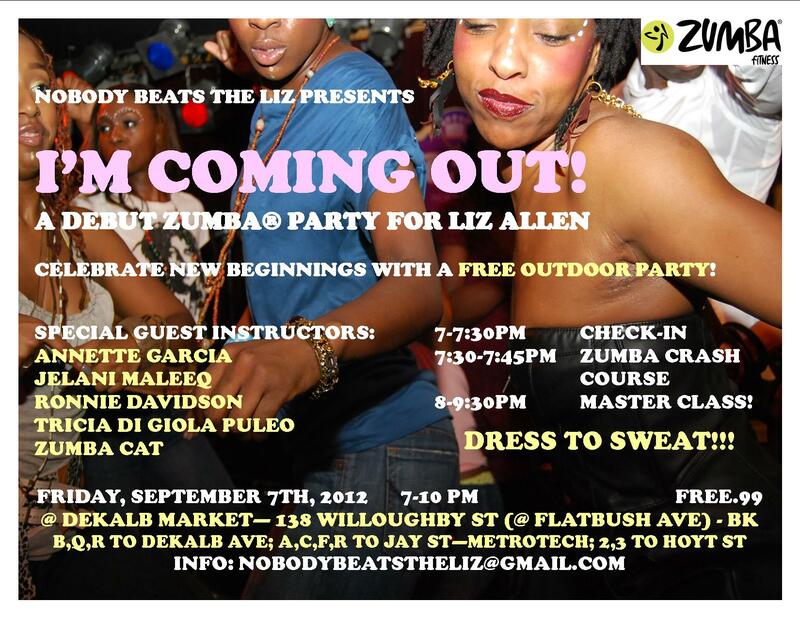 Come out to Dekalb Market on Friday, Sept. 7th to help me celebrate all of these milestones – I’m throwing a free Zumba party to debut with a bang! Also teaching are some of the instructors who have inspired me along this journey.